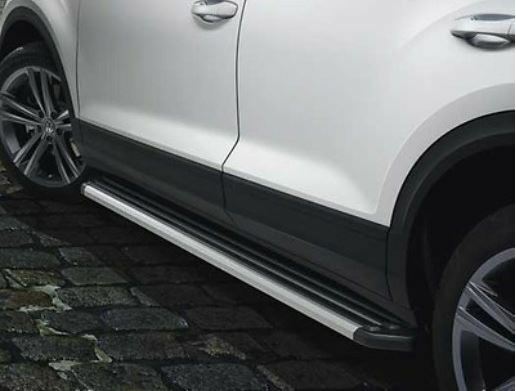 Running boards underline the SUV character of your vehicle and also make entry to the vehicle and loading of the roof easier for you at the same time. 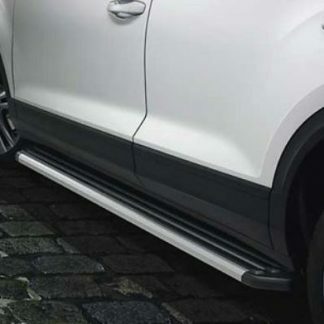 The running boards are manufactured from silver-anodised aluminium and are finished at the sides with black plastic end caps. Incorporated into the step surface are black plastic inserts that create an anti-slip effect for safe entry to the vehicle. Also applicable for for R-Line model.